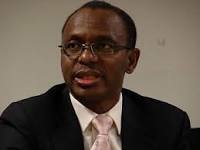 Governor Nasir El Rufai of Kaduna State has ordered the immediate closure of two churches, a seminary and a church-owned hospitals and secondary school all in Saminaka, Lere Local Government Area of Kaduna State. He said the closure was to avoid the eruption of violence among factions of the congregations whose leaderships’ positions he described as, “principally to preserve their personal interests with little concern for the common good, and the peace and security of Kaduna State”. Reads the statement: “The Kaduna State Security Council at its 15th meeting, held on the 15th September, 2015, deliberated on the leadership crisis in the Assemblies of God Church, AGC, Saminaka District, Lere local government area of the state. “The council discussed this matter in the context of preventing threats to the peace and stability of the State. The crisis has also widened to the students of the church-owned school and seminary, who are now split and divided on factional lines. “The Council reviewed previous efforts made to resolve the crisis. It noted that these were aborted by those involved in the leadership tussle, principally to preserve their personal interests with little concern for the common good, and the peace and security of Kaduna State. “The Council unanimously agreed that if left unchecked, the growing tension may degenerate into total breakdown of law and order in the said area, with the potential to spread to other parts of the state. “As a result of these measures, those who may be affected will be admitted into government schools or hospitals, if they exercise the option. “The Council also directed that the status quo with regard to farmlands, houses and other assets of the church be upheld pending resolution of the leadership crisis, which is a matter before the Supreme Court. “Kaduna State Government wishes to reiterate that it will not tolerate the use of religion and ethnicity to cause crisis in the state. “The government has also announced that it will prosecute anyone, no matter his or her standing, that is implicated in fomenting crisis in whatever form in the State”, the statement concluded.